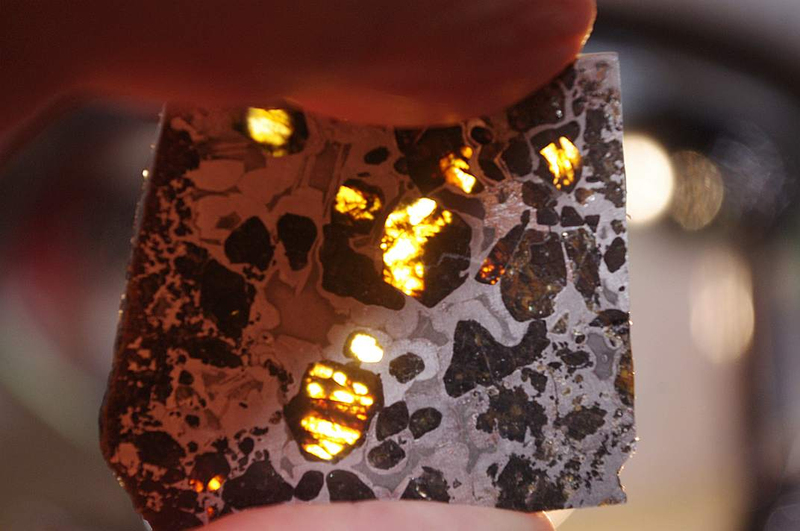 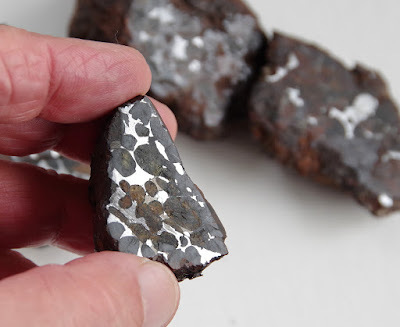 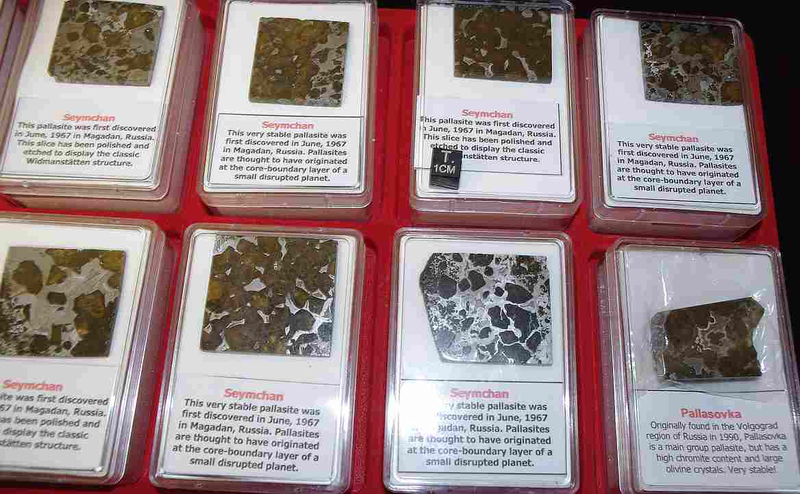 If I had to pick a favourite class of meteorite, it would probably be the Pallasites. 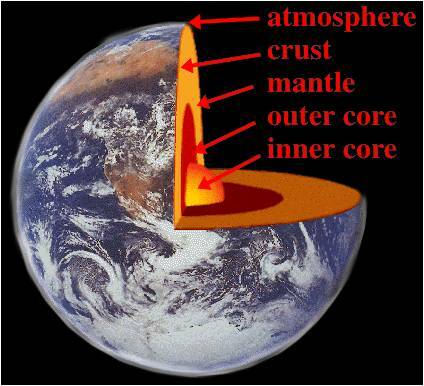 Generally believed to have originated at the core / mantle boundary of small, disrupted planets, they consist of a nickel-iron matrix in which are suspended fragments of crystalline minerals such as olivine and pyroxene. Very rare (making up less than 2% of meteorite falls) the whole class is named after German naturalist Peter Paul Pallas (of warbler, eagle and rosefinch fame!) He was the first person to describe the group, following his examination of a meteorite he found near Kransnojarrsk, Siberia in 1772. The best-known members of the group are those from Seymchan and Pallasovka (a city named after our hero PPP!) 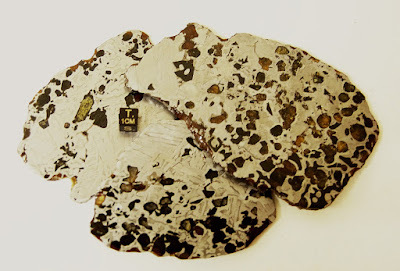 Imilac and Admire. This month I managed to import a decent amount of a new find from Kenya which is generally called Sericho or Habaswein after its place of discovery. 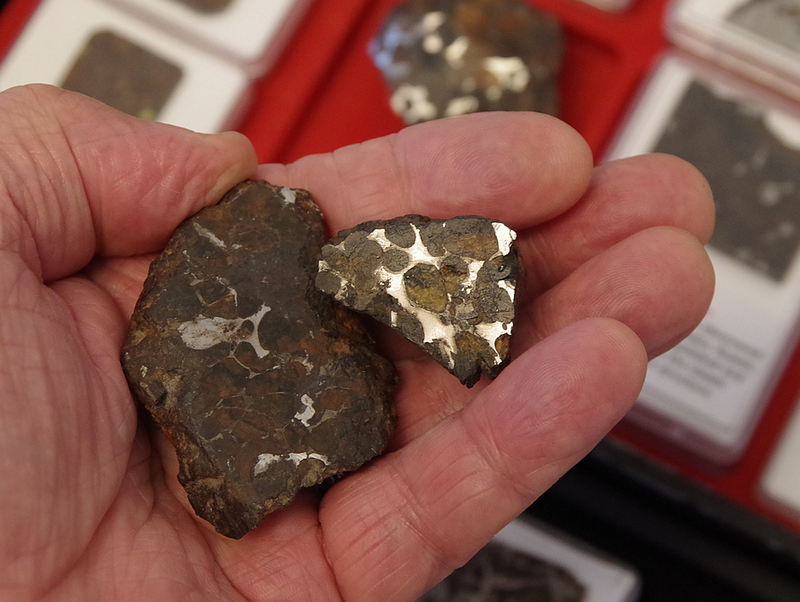 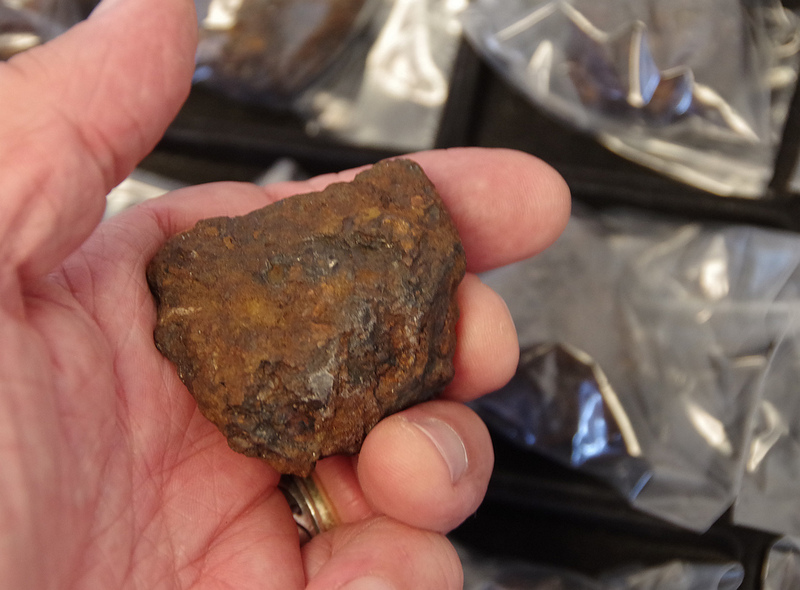 Until you cut and polish a pallasite it looks a bit like a potato: inside, though, the beautiful structure is revealed!